I visited zen temple “Enkakuji” in Kamakura yesterday for the first time. 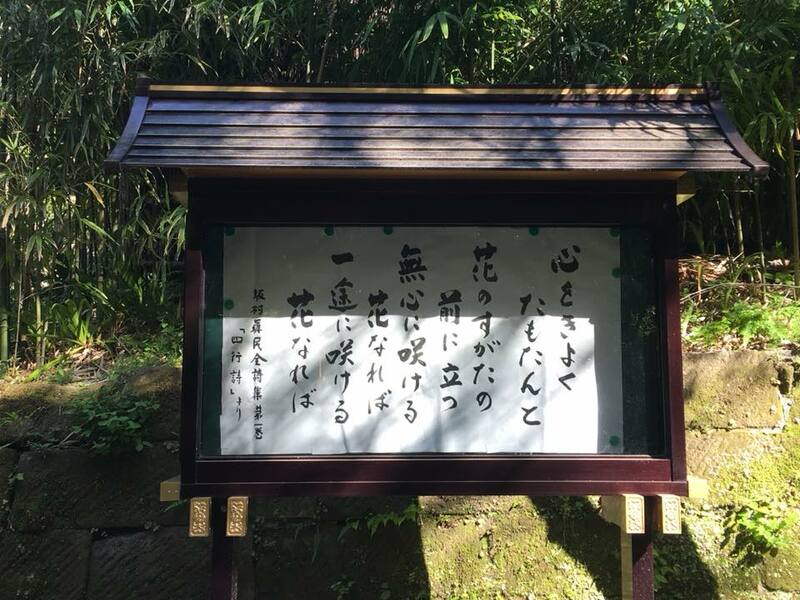 Mr.Shingu Ito who was one of my teachers of oriental medicine studied Zen Buddhism from Priest Sougen Asahina and Taishin Adachi at this temple. He recommended me to study acupuncture and moxibustion at Toyo Shinkyu Institute 30 years ago. Enkakuji Zen temple was founded in 1282.Its patron was Hojo Tokimune of the Kamakura Shogunate,who played an important role in the battles against Mongolia.The founder of the temple was the high-ranking priest,Mugaku Sogen,who arrived in Japan from China.Enkakuji was built mainly to honor the war-dead for both sides of the conflict. I was happy to see the poem of Shinmin Sakamura. When I visited his home 15 years ago, he gave me his autograph paper on which his poem was written. It’s my treasure.